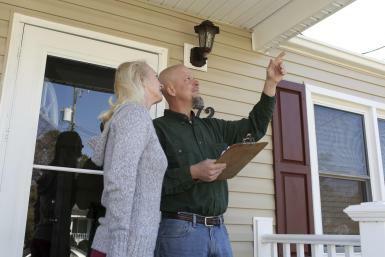 What is a 203k Inspection? A 203k inspection is an inspection authorized by the Federal Housing Administration (FHA), which is part of the Department of Housing and Urban Development (HUD). They administer various single family mortgage insurance programs. These programs operate through FHA-approved lending institutions which submit applications to have the property appraised and have the buyer's credit approved. These lenders fund the mortgage loans which the Department insures. HUD does not make direct loans to help people buy homes. Prior to the appraisal, a HUD-accepted fee consultant must visit the site to ensure compliance with program requirements. The utilities must be on for this site review to take place. Performed by HUD-approved consultants/inspectors or HUD-accepted staff of the DE lender. The consultant is to use the architectural exhibits in order to make a determination of compliance or non-compliance. When the inspection is scheduled with a payment, the inspector is to indicate whether or not the work has been completed. For more information about a 203k Inspection and associated fees, click here.